021 – Raiders of the Lost Ark | All Eighties Movies. All The Time! 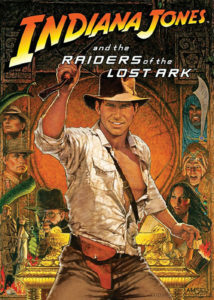 This week Gidgit and Angry travel around the world with whip and fedoras on as they chat about the incredibly successful Raiders of the Lost Ark! Also, Marion Rocks! This entry was posted in Podcasts and tagged action, adventure, raiders. Bookmark the permalink. Thanks for doing my favourite movie of all time. I’ve listened to a lot of them but I hate when people tear holes in the movie. You’res was fair and fun. Going to listem again tomorrow. Hi Edgar – thanks for your comments – we love our 80’s movies, why tear them apart? Thanks for your support! I’ll say this is not the ‘best’ Raiders podcast I’ve heard but it was certainly the most entertaining and fun so well done. Did not think two Ozzies could top us Americans. Well done. A lot more information and less critique which I enjoyed. Gay day mates. Huge Indy fan and so many pod casts out there. I’ve listened to all of them I think. Really enjoyed your podcast. You add fun to a fun movie. Was told about your podcast by a friend. Will be checking out more now. Love your accents.